SERMON: Mt 28:6 "Come and see the place where he lay." We will go to the Cross and tomb in preparation for Resurrection Sunday. I'd like to do something different and tell the story of the Passion this Sunday, to bring us into this historical event. PALM SUNDAY. Palms will be given out as we enter church. To close this Sunday's church service I'd like to invite us to bring our palms to the cross and have a time of corporate prayer. Our IRELAND team will give a report this Sunday. AWANA, will resume again on Wed., April 7. EASTER SUNDAY, services at our usual 10am. Easter Egg hunt for the kids, Big church lunch after service, so please invite friends and family. We will have an extended time of worship, including our Rainbow Church Adult Choir! We will end the service with children's Scripture recitation and celebration of the Lord's Supper, which will be shared as the Passover Seder involving the Christian symbolism. Mt 27:54 When the centurion and those with him who were guarding Jesus saw the earthquake and all that had happened, they were terrified, and exclaimed, "Surely he was the Son of God!" About 4 weeks ago, an email was sent out from “Return Our Peace” to communicate a new way to report the ongoing noise from Pala Raceway. While the noise has been fairly loud over the past few weeks, the communication to Pala and Ryan Ouellette, the raceway owner, has been light. We are hoping to bring some action to this situation as it has been a year now with no resolution. Whenever the noise impacts you, please take a few minutes to email the people responsible (emails below) and copy the community email at palaracewaynoise@gmail.com. Please do not copy other individuals in the community as the object is to barrage Pala but not our neighbors. Each month, our emails will be summarized and a report without names will be distributed back to the community, Feinstein, the county, etc. to raise awareness about this problem. If you would like to send an email but wish to remain anonymous, please feel free to send your emails to palaracewaynoise@gmail.com with the subject “SEND TO PALA” so that it is not confused with other emails. We will be happy to remove your email address and send the email along for you. Our Ireland Mission team is in Cork and all happy and tired. It is 6pm Friday and we are heading to Pastor Mike and Rachel's for dinner and then out to street evangelism from 8pm to 11pm. Sunday, March 14 from 4 to 7 pm. The dinner includes corned beef, cabbage, a salad bar, potatoes and carrots, Irish soda bread, drinks and a variety of dessert choices. Cost is $8 for adults, $5 for children 10 and under. To go orders will be available. 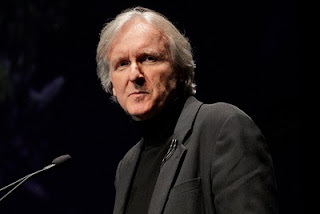 Local environmentalists who have been inspired by one of the subplots in the movie "Avatar" are giving its director, James Cameron, an award. The coalition of "green" organizations bestowing the honor includes the Santa Margarita Group of the Sierra Club, the Endangered Habitats League and Save Our Southwest Hills, a group of area residents who have focused their energies of late to opposing Granite Construction's Liberty Quarry project. If Cameron shows up to collect his prize ---- the inaugural "Temecula Environmental Award for Outstanding Social Responsibility in Media" ---- it will be handed out in September during the annual Temecula Valley International Film & Music Festival. "The plight of the Na'vi people in (Cameron's) film very closely mirrors the environmental and social struggle the residents of Temecula and surrounding communities are facing, as well as the potential destruction of sacred lands of The Pechanga Band of Luiseno Indians," said Kathleen Hamilton of SOS Hills on Wednesday, explaining why Cameron was selected for the honor. In "Avatar," which is up for a "Best Picture" Oscar, a mining company from Earth visits a planet called Pandora in search of a valuable mineral. To get at a large deposit of the mineral, the company destroys a tree considered sacred by the planet's native inhabitants, setting the stage for an epic battle that pits the natives, the Na'vi, against the company's mercenary soldier force. The Na'vi end up winning the battle and the company's executives and the soldiers who survived the battle are sent back to Earth. "We are willing to protect our quality of life, and we are willing to fight for it, as they (the Na'vi) did," Hamilton said. Granite has been working for years to receive approval to dig a large quarry on county land near Temecula's southwestern border. The project has been criticized by both the Pechanga tribe and environmentalists who are concerned about how it would affect the migration patterns of animals, the air quality in the area and water quality in the Santa Margarita River watershed. When Barbara Wilder, another SOS Hills member, saw the movie, she said she immediately thought of the Liberty Quarry controversy. "It was so obvious that it was about Granite and Pechanga," she said. Granite Construction spokeswoman Karie Reuther declined an opportunity to comment. Weighing in on the possibility of Cameron actually showing up to accept the award, Wilder said a SOS Hills member has talked to representatives at 20th Century Fox, the studio that released "Avatar." And she was encouraged. "He's really interested in helping (environmental) organizations with what needs to be done," she said. In interviews with multiple media outlets, Cameron has said he purposely stressed the environmental message in "Avatar," despite the concerns of some studio executives who felt there was too much "tree-hugging." A message left Wednesday with Cameron's assistant at Lightstorm Entertainment Inc., Cameron's production company, was not returned. Jim Mitchell, chairman of the local Sierra Club group, said it would be a real treat if Cameron's schedule allowed him to attend the city's film festival in September. "But we would love to have him come out any old time," he said. Asked if the award would become an annual fixture of the festival, Mitchell said, "I think so. It's something that we feel ---- the giving of an award for recognition for a job well done ---- is an important part of what we should be doing." Machine Quilting classing being held right here in Rainbow. All ages welcome. Do you like to sew? Would you like to learn to quilt, make purses or wall hangings?